Because little girls need to be accompanied in the discovering of their bodies and pleasure. They need someone to tell them that PLEASURE IS A GIFT OF LIFE and that it is good indeed. Because sexual education begins at home with our mother and father as models and we need to CREATE A BOND OF COMMUNICATION AND TRUST from their very early age, so they know they can ask anything to us and that we are there for them. Because we live in a world that doesn’t value the feminine nature. Because they will receive advertising messages against their beauty, feminine cycles and sexuality as they grow old. Reinforcing their SELF-ESTEEM AND BODY KNOWLEDGE from the start is a gift that many of us didn’t have and a beautiful seed of LOVE AND SELF-CONFIDENCE for the women they will be tomorrow. Because mothers need to relearn about our body, to see our beautiful sexuality with the eyes of the innocence and learn to love it again. Because every day is a good time to transmit to them the beauty of their bodies and feminine nature. Because connecting with our sexuality and pleasure allows us to enjoy the things that life gives us. Because for every girl that is accompanied with kindness and love the world will have gained a CONSCIOUS, FREE AND SECURE WOMAN. What a better present than accompanying little girls to know and love themselves through a story? Lillith’s treasure. 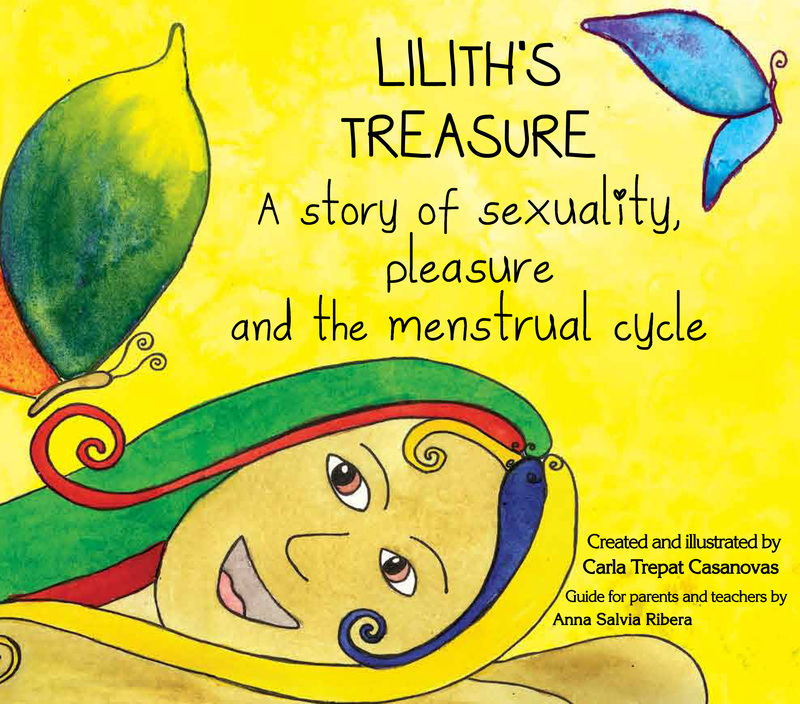 A tale about sexuality, pleasure and the menstrual cycle. ← How to get the sensitivity of our uterus back?